If Japan ever calls a referendum on whether to revise the postwar Constitution, it could spark a heated TV advertising war, akin to what the U.S. goes through for its presidential election campaigns. 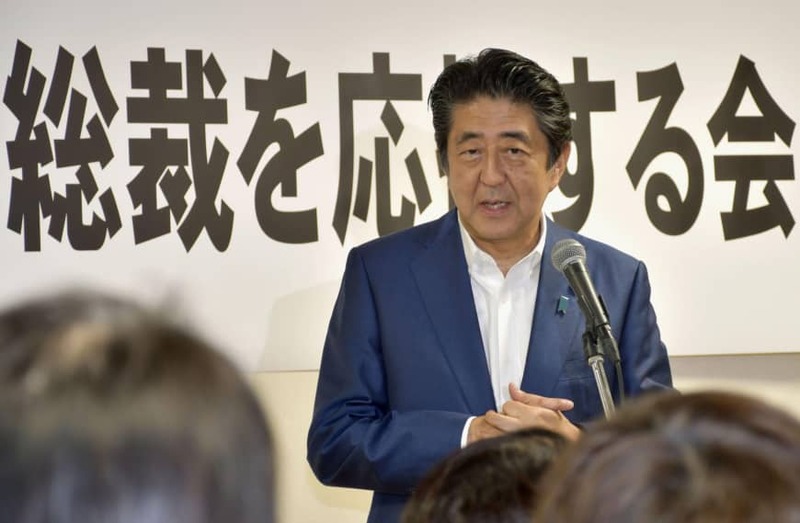 The national referendum law as it now stands in principle enables anyone for and against constitutional amendment — Prime Minister Shinzo Abe’s longtime goal — to freely invest in advertising, broadcast or print, as a way to get their message across. But this freedom is now under scrutiny. Critics say the more robustly funded pro-revision camp led by Abe’s ruling Liberal Democratic Party will inevitably gain the upper hand in this unregulated war of advertising, unleashing TV commercials with the force and frequency that its opponents can never match. How influential are TV commercials? And why, despite their appeal to voters, are they left unchecked in the first place? Is it possible that a vote on the Constitution, which shapes the very foundation of the nation, can be skewed by the amount of money spent on advertising? Here are some points of controversy. What are the rules regarding political advertising for a national referendum? The current referendum law regulates almost nothing when it comes to campaigning. It doesn’t obligate anyone to report their spending or impose any cap on the amount they can spend on advertising. In one of the few regulatory measures, however, the law bans political ads from being broadcast on TV in the final 14 days leading up to the referendum. The purpose is to secure a cooling-off period where voters are safeguarded from exposure to incendiary commercials so they can calmly make up their mind before actually casting their vote. But the 14-day rule doesn’t apply to ads in nonbroadcast media, including newspapers and magazines, authorizing their publication up until the very day of voting. Why is there so little regulation? The national referendum law was enacted in 2007 as the antithesis of the public election offices law, which governs national and municipal elections with a plethora of rules that afford campaigners little room for autonomy — let alone creativity. Even the size of fliers they are authorized to distribute to voters is defined by the millimeter. “Our basic understanding was that a national referendum shouldn’t be like this; that it should be conducted with more freedom,” said scholar Yoshinori Nanbu, who as a former policy secretary of a Democratic Party of Japan lawmaker was directly involved in drafting an opposition version of the law. “A referendum is fundamentally different from normal elections in that everyone in society is a protagonist,” Nanbu said, explaining that voters are likely to participate in active discussions about the constitutional amendment. Meanwhile, in standard election campaigns, he said, voters can easily become bystanders. It was with this mindset, Nanbu said, that legislators focused on minimizing regulations to foster “free and active” campaigning by the public. “To be honest, I don’t think anybody back then had the slightest clue about how dangerously influential TV commercials can be. It didn’t even occur to us that they should be regulated,” he recalled. If no regulation was thought necessary, why is there a 14-day ban? Nanbu recalls that the Koizumi camp’s huge win in the election awakened lawmakers to the danger of how “voters can cast ballots out of excitement, rather than level-headed consideration.” This realization prodded the LDP and DPJ to tweak their drafts in 2006 to stipulate that TV commercials be banned at least seven days before a referendum. But then the DPJ, with its dismay growing over the emotive and money-driven nature of broadcast advertising, beefed up its version of the bill to ban referendum-related TV ads during the entirety of the campaign. With this in mind, the ruling camp ultimately extended the ban from seven to the current 14 days, according to Nanbu. Is the 14-day ban adequate regulation? Critics say there is a legal loophole that renders the 14-day rule effectively toothless. “So basically you just need to avoid saying ‘please vote for us.’ You could, for example, hire a popular actress to say she is for or against the revision,” Nanbu said. “When your favorite celebrity says something about revising the Constitution, there is a good chance you’re affected by the way that person thinks, regardless of whether there is an explicit solicitation,” Nanbu said. If a referendum is held, would the LDP-led pro-revision camp have an advantage in the TV ad war? Author Ryu Honma, a former employee of Hakuhodo Inc., the nation’s second-biggest advertising agency, believes so. For one thing, he cites the pro-amendment force’s overwhelming wherewithal. Internal affairs ministry statistics shows that subsidies for political parties in favor of constitutional amendment — including the LDP (¥17.6 billion), Komeito (¥3.1 billion), Nippon Ishin no Kai (¥1 billion) and Kibo no To (¥500 million) — amounted to ¥22.6 billion in 2017. 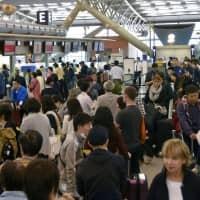 This compared with ¥9.1 billion amassed by the anti-revision camp, which includes the now-defunct Democratic Party (¥7.8 billion), the Constitutional Democratic Party of Japan (¥440 million) and the Social Democratic Party (¥390 million). Honma said money is a decisive factor in the TV commercial war. 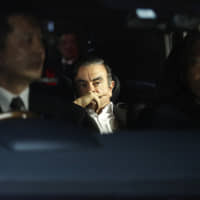 Prime time commercials on major network television, he said, can cost ¥3 million to ¥5 million each, inevitably favoring wealthy campaigners. Further encouraging the pro-revision group’s control of the airwaves is what he calls the LDP’s inseparable ties with ad giant Dentsu Inc.
“Given the LDP’s yearslong history of teaming up with Dentsu for election campaigns, it’s inconceivable for the party not to follow through on that partnership in the event of a constitutional referendum,” Honma said. All in all, such is the advantage held by the pro-revision camp over its opponents that whatever advertising war they embark on will be akin to a “battle between B-29 bombers and bamboo spears,” as Honma put it. 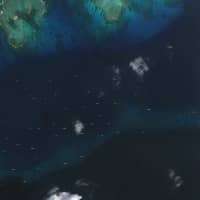 “Not only that, the pro-revision camp will fight the battle frantically, because the stakes are much higher for them. 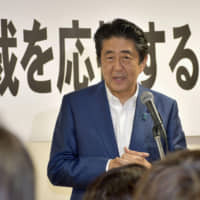 Losing the referendum means (Abe) may have to resign — they even might have to hand over power to the opposition,” he said. Are TV commercials powerful enough to sway the outcome of a contest? Honma said that as a former Hakuhodo employee, he knows first-hand about the terrifying power of TV commercials. He noted, in particular, how they can insinuate their way into the subconscious of a target audience and sway the collective psyche through a persuasive mix of visuals and sounds. But there is skepticism, too. 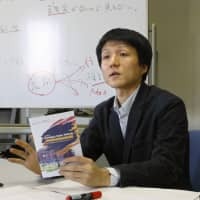 Yasuhiko Tajima, a former media studies professor at Sophia University, cited local referendums in the U.S. that are often characterized by a flurry of freewheeling campaign activity. “Some referendums were won thanks in part to aggressive advertising financed by corporations, but there were also cases where those commercials backfired after antagonizing voters,” Tajima said. In a 2005 vote in California, for example, a ballot initiative to create a drug discount program was defeated despite relentless TV commercials funded by four leading pharmaceutical firms that supported it. “Demonizing TV commercials as evil, as if they unconditionally deserve to be regulated, may be a bit too one-sided,” Tajima said. What measures are lawmakers taking? Diet debate over the issue is practically nonexistent at the moment, as a panel tasked with discussing constitutional amendments hasn’t even been initiated yet during this extraordinary session. But opposition parties are increasing the pressure on the ruling bloc to consider introducing stricter regulations against TV commercials. The Democratic Party for the People, for example, has unveiled a draft amendment proposal that would completely ban political parties from taking out TV commercials in the lead-up to a referendum vote. The amendment would allow campaigners other than political parties to run commercials until the final 14 days. But even so, in emulation of measures taken by the United Kingdom in the 2016 Brexit referendum, the proposal would oblige them to register their organizational details with a Diet-appointed body as well as report and publicize their spending, to improve transparency — something sorely missing in the current framework. It would impose a cap on the amount that can be spent on advertising. A cross-party group of lawmakers opposed to the current law held its first gathering in Tokyo last month. 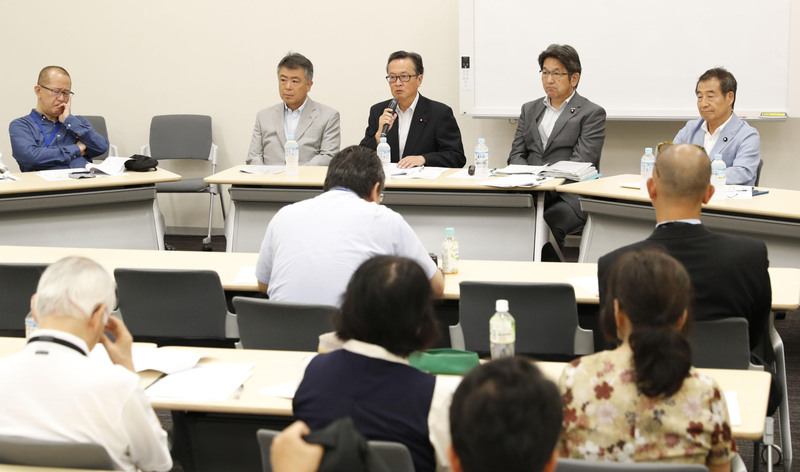 The participating lawmakers urged the Japan Commercial Broadcast Association to ensure media self-regulate TV ads in the event of a referendum, rather than have the ads be banned or curbed by law, to avoid overly interfering with the right to freedom of expression by campaigners. So far, the JCBA has been reluctant. 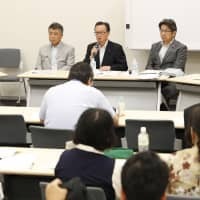 “We understand the principle of the original referendum law was to give campaigners the freedom they need, so we don’t want to regulate more than necessary,” LDP lawmaker Hajime Funada told reporters after the first meeting wrapped up Oct. 12.